If you love tiebacks and braid backs, this hairstyle is for you! I love that this hairstyle is so simple and you can definitely do this one on yourself. 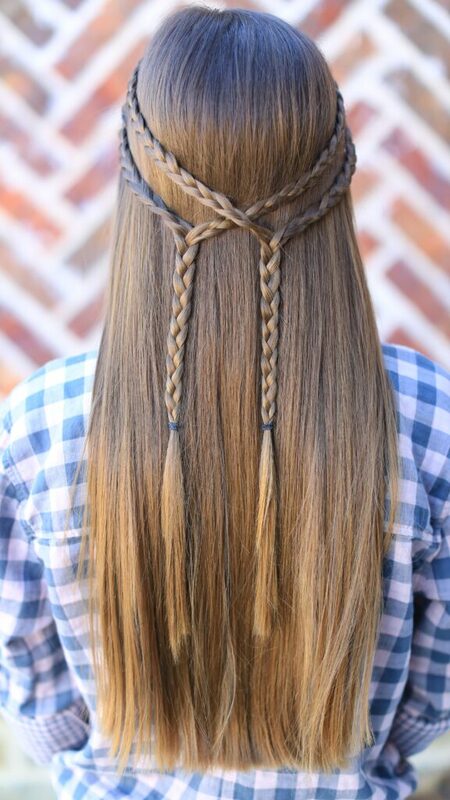 This Boho hairstyle would be perfect for a spring/summer music festival, a romantic date, or everyday of the week! You could change it up if you want & pancake the braids for a messy look. This hairstyle is great for any age range! 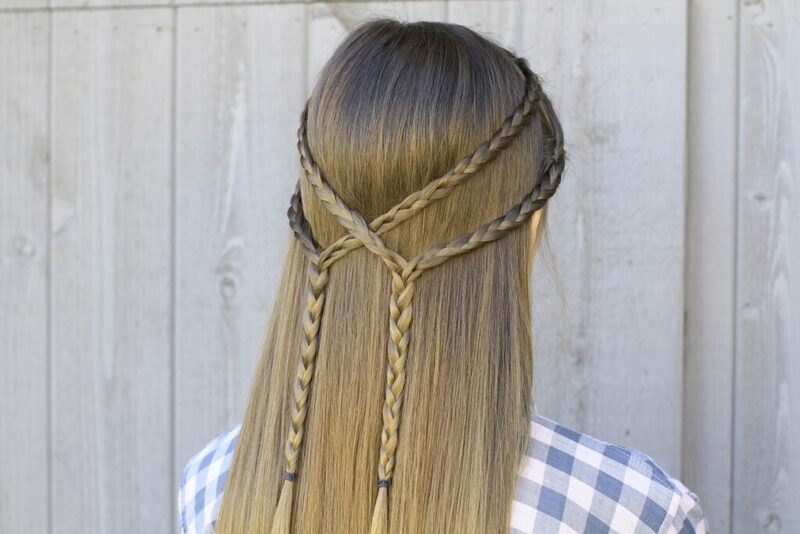 To see your own photo recreations of this style featured in our app, feel free to tag your photos on IG using #CGHDblBraidback. Kamri’s hair is shown straight. This hairstyle would also look so pretty with “beachy waves”. Can you believe how grown up Kamri is looking lately? 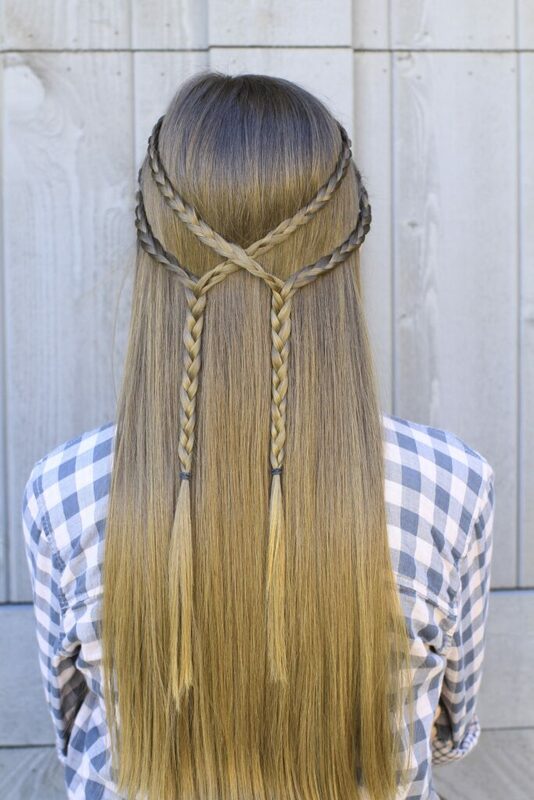 Start by parting your hair down the middle. Next, you want to part from the top section down to the top of the ear. With the section you just created, divide it in half horizontally. Do a regular 3-strand braid on both sections and secure with an elastic. Repeat steps 2-4 on the other side of your head. When you have your 4 braids, take the top braid from the right side and connect it with the bottom braid on the left side. You want to figure out just where you want to them to sit and secure the two braids with an elastic. (as seen in the photos, you are creating 2 “Y” shapes at the back of the head). Next take the top braid from the left side and connect it with the bottom braid on the right side and secure with an elastic. Once you have the braids sitting where you want them, remove an elastic from one set of braids and merge them. Now braid down to the ends of the hair. Repeat the merge on the 2nd set of braids. As you can see in the pictures you now have 2 super cute braids! 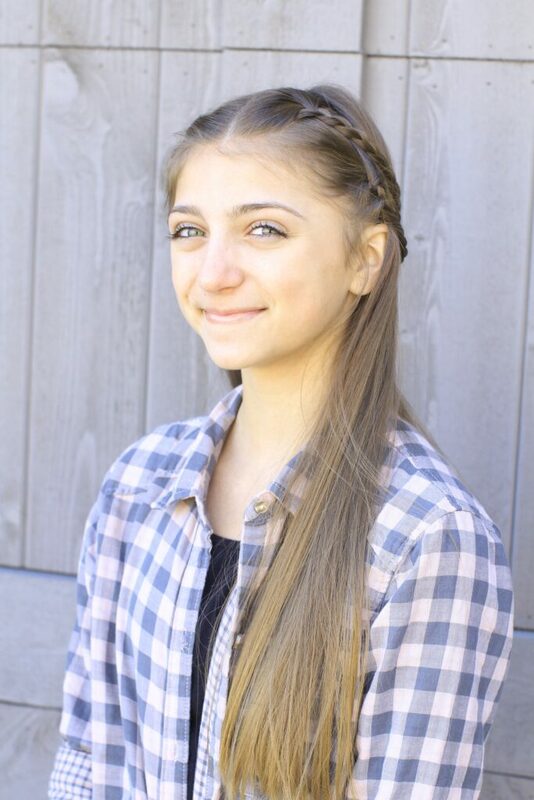 Feel free to leave a comment below telling us what you thought of the Double Braid Tie-Back!